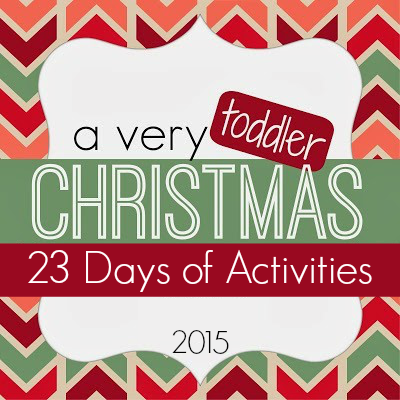 We're on Day 11 of our A Very Toddler Christmas series!! Yesterday we made sparkly stars and the day before we did a candy cane collage craft! 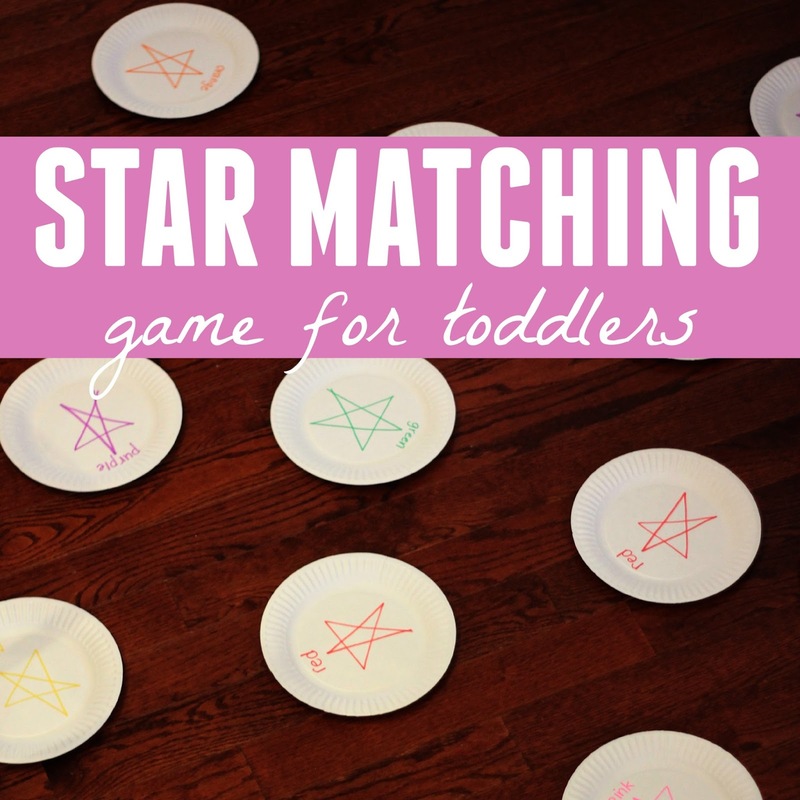 This week we've been having fun with a star theme at our house so today we are sharing a super simple star matching game we created! 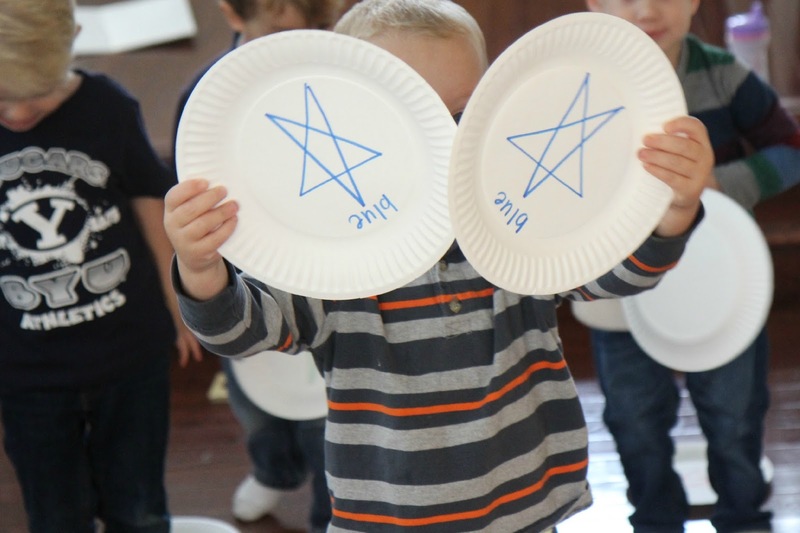 To get started you need to draw a star on each paper plate! If you don't have paper plates, just draw stars on paper. Use a different color for each star and make two of each color so that each star has a color match. I wrote the color names on the paper plates as well so that the kids would get used to recognizing the words. Next, spread the stars all over the ground and have your kiddos go and find the matches! I did this activity with a group of preschoolers and some were great at matching and colors and some are still learning. If they weren't sure which colors matched we would work together to choose one plate and then hunt for the matching one. If the child didn't know the color name I would just model finding the right color and saying the name of the color. By the time we were done having fun with this game kids knew their colors even more! We also made a star snack and a star treat. The kids loved getting to sprinkle red and green sprinkles onto their graham cracker with a frosting star. I also gave each kid a piece of paper with a star on it and they tried to outline the star on their paper using their snacks! They covered all of the black lines with pirate's booty. 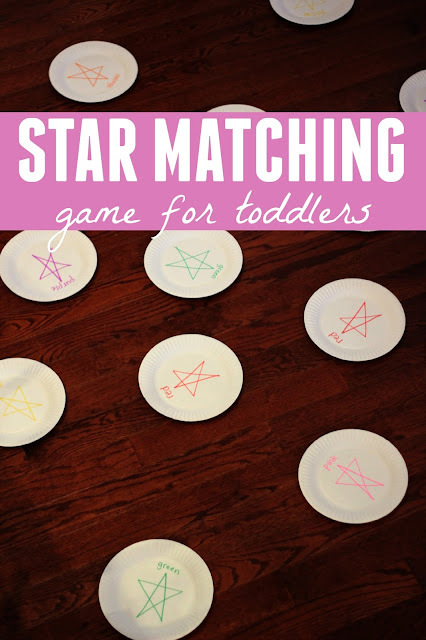 This game went along perfectly with our sparkly star craft! I'll bet you have all of the materials you need for this activity right now! Have you tried any of our A Very Toddler Christmas activities yet? Use the hashtag #averytoddlerchristmas and share what you have been doing! You can find all of the A Very Toddler Christmas series posts HERE (if you missed any of them).